Earlier this year Netgear introduced its Nighthawk M1 router, powered by Qualcomm’s X16 LTE modem and is the first Gigabit LTE router on the market. 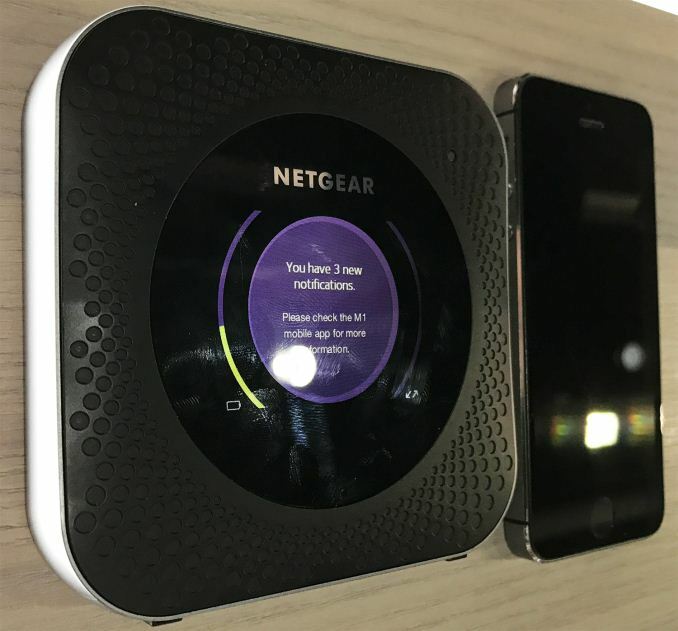 Right now, the device is available on Telstra’s 4GX LTE network in Australia, but the router made a surprise appearance at the MWC 2017 show and it will actually hit the market in Europe later this year. There is a catch however: there will not be a lot of Gigabit LTE deployments because of technical challenges. The Netgear Nighthawk M1 is based on Qualcomm’s Snapdragon X16 LTE modem (paired with Qualcomm’s WTR5975 RF transceiver) that uses 4×4 MIMO, three carrier aggregation (3CA) and 256QAM modulation to download data at up to 1 Gbps (in select areas) as well as 64QAM and 2CA to upload data at up to 150 Mbps. The Nighthawk M1 router is designed for those who need to set up ultra-fast mobile broadband connection but do not want an incoming physical data connection. The router is equipped with Qualcomm’s 2×2 802.11 b/g/n/ac Wi-Fi solution that can connect up to 20 devices simultaneously using 2.4 GHz or 5 GHz frequencies concurrently. 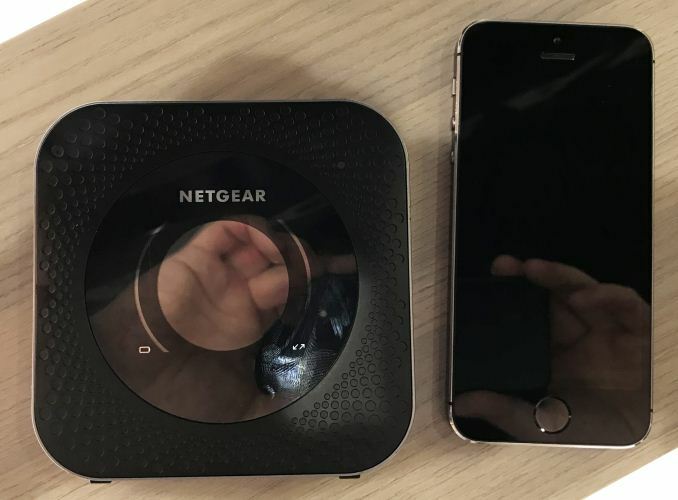 Generally speaking, the Nighthawk M1 is aimed at mobile workgroups who need high-speed Internet connection where there is no broadband. In Australia, there are areas where Telstra’s 4GX LTE network is available, whereas regular broadband is not, so the device makes a lot of sense there. Netgear’s Nighthawk M1 router is clearly one of the flagship products offered by the company. Nonetheless, it was still a bit surprising to see the device at the MWC (given its current Australia-exclusive status). When asked about availability in Europe, a representative of the company said that the Nighthawk M1 is coming to Europe this summer and will be available from multiple operators. What this means is that a number of operators from Europe will be ready to deploy Gigabit LTE later this year. 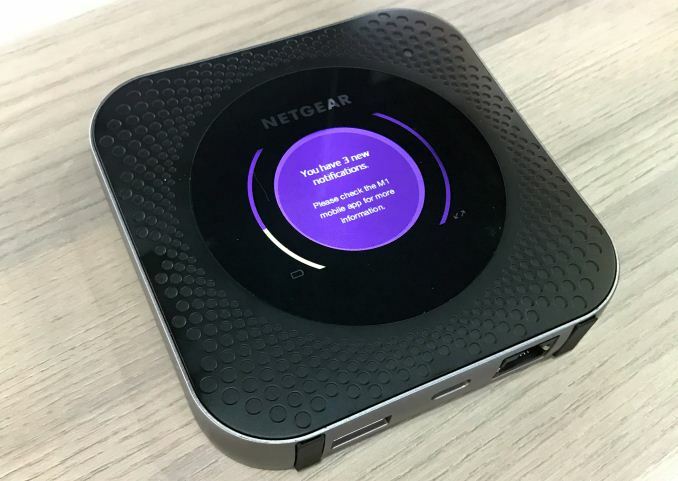 Netgear did not talk about which operators or which geographies, or at what pricing, right now because it will depend entirely on operators that are going to offer the Nighthawk M1 with certain service packages. While there are Gigabit LTE deployments coming, do not expect them to be widespread in the next couple of years with 4G networks. To enable Gigabit LTE, devices and operators have to support 4×4 MIMO, carrier aggregation (CA) and 256QAM modulation. It is not particularly easy to enable 4×4 MIMO and 256QAM modulation because of interference. In fact, far not all networks today use even 64QAM. Moreover, operators have to have enough spectrum and backhaul bandwidth to transfer all the data. Thus, to offer Gigabit LTE, operators have to upgrade their infrastructure both in terms of base stations and backhaul. Some operators may be reluctant to upgrade networks to Gigabit LTE because right now there are not a lot of announced devices featuring the technology, or not all operators have enough customers who need the tech and could use/are prepared to pay for routers like the Nighthawk M1. Despite this, wireless Gigabit networks are coming first with 4G/LTE in select areas, and then with 5G sometime from 2020+ and onwards. 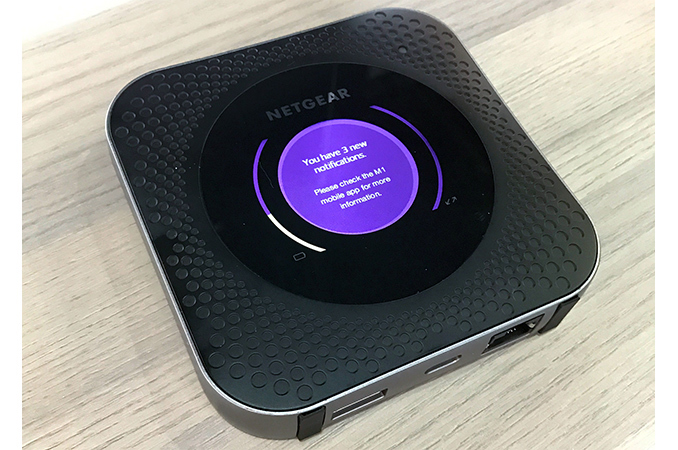 Even if there are not a lot of Gigabit LTE deployments across Europe this year, the Netgear Nighthawk M1 will still have enough advantages to attract customers seeking for an high-end mobile router that can work for up to 24 hours on a charge (it comes with a 5040-mAh battery). In Australia, the Nighthawk M1 is available for less than $300 from Telstra, but we know nothing about the price in Europe.